In today’s Morning Buzz, we’re going to explore how access to broadband internet can impact a community—particularly marginalized communities. San Rafael is working on addressing equity issues relating to internet access. In what is arguably the City’s most marginalized and de-facto segregated neighborhood, the Canal, residents struggle to secure access to adequate broadband internet. While this is definitely a problem, a group of nonprofit organizations, businesses, and government agencies are identifying options for how to solve it. One idea, which has been coined “The Canal Broadband Network Project”, aims to provide 10,000 residents with an affordable, quality broadband option. The project, which is a by-product of the San Rafael Chamber of Commerce’s Leadership Institute, also includes enhancing existing broadband infrastructure at schools and public facilities in the neighborhood. High-speed Internet access, or broadband, is critical to economic prosperity, job creation, education, and community engagement. It is key to ensuring the success of a community. The Canal needs better access to broadband internet. Through the Alton Smart City WiFi project, the City plans to provide free Wi-Fi to community members. The project is a public-private partnership with WiFiRus, an Edinburg-based company. The original intent of the project was to provide free Wi-Fi to school-aged children, particularly to those from low-income households, to do basic items as completing homework tasks. But after a successful pilot of the program, the City decided to launch the program citywide. In late 2017, the City of New York and the U.S. Department of Housing and Urban Development (HUD) partnered with T-Mobile to provide qualifying families living in public housing in the Bronx with 5,000 new tablet computers connected to T-Mobile’s data network. These tablets were preloaded with apps and links connecting users to City services, directories, and apps, including the MyNYCHA app, the 311 app. As part of this program, T-Mobile also provided free introductory training for recipients. In addition, the New York Public Library expanded digital literacy and mobile tablet training programs at nearby branches in the Bronx to help users learn about computer and internet basics, social media, protecting online information and privacy, career development, coding, and more. In 2018, the City of Cincinnati partnered with Cincinnati Bell to realize a “Smart Cincy” vision that will “ignite economic growth, improve public safety, power more efficient government, and bridge the digital divide through the proliferation of ubiquitous, high-speed broadband Internet access.” As part of this initiative, the City deployed free, high-speed Wi-Fi along the 3.6-mile Cincinnati Bell Connector (the downtown streetcar) route and its adjacent areas. In 2015, the City of Los Angeles launched the OurCycleLA project, a digital inclusion program designed to take advantage of the thousands of salvage computers from the City. The primary goals of the program are to maximize the use of the computers while reducing the electronic waste footprint, provide job training to youth and employment opportunities for individuals with high barriers to employment, and help bridge the digital divide in Los Angeles. As a part of this program, the City partnered with HUD to extend affordable broadband access to families living in HUD-assisted housing communities. Through this joint-effort, over 3,00 refurbished computers and hotspot devices were provided to low-income households with K-12 students free of charge. In addition, nearly 200 free refurbished computers were donated to seniors living in the senior housing units and to senior community centers. The City of Madison is working to bridge the digital divide by providing free high-speed internet access at all nine of their public library locations. Internet access is available wirelessly at these locations. The City has also installed free, public Wi-Fi at 14 community/cultural centers. 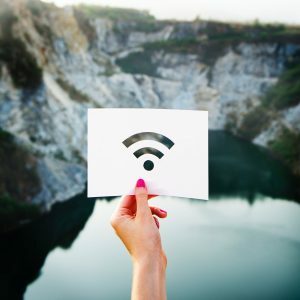 The City of Milwaukee provides free Wi-Fi to users at various City facilities, such as the Fondy Farmers Market and Fondy Park, Pere Marquette Park and Cathedral Square Park, and Milwaukee Public Library. In August 2018, the City expanded its free public Wi-Fi system to the North Avenue and Lindsay Heights neighborhoods. 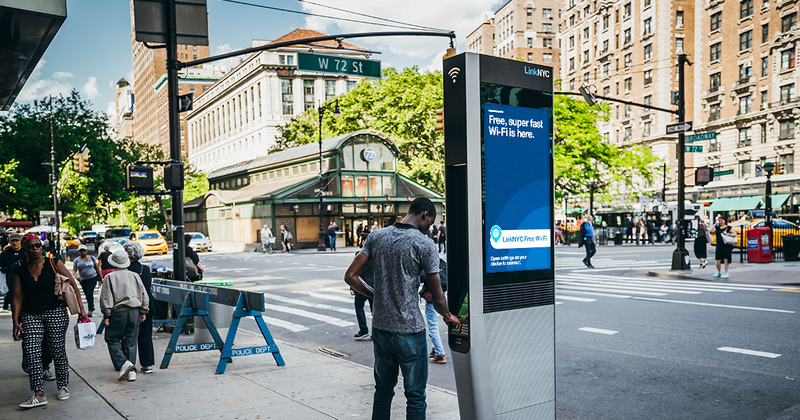 LinkNYC is described as a “first-of-its-kind communications network” that, when completed, will replace over 7,500 pay phones across the five boroughs of New York City with new structures called Links. Each Link provides superfast, free public Wi-Fi, phone calls, device charging, and a tablet for access to City services, including maps and directions. LinkNYC is completely free for users because it’s funded through advertising. As of September 2018, there were more than 5 million registered Wi-Fi users, with over 20 million Wi-Fi sessions per week. In addition, LinkNYC averages more than 500,000 phone calls each month. As part of the Bridging the Digital Divide initiative, The City of Redwood City, in partnership with the Silicon Valley Community Foundation, the Bothin Foundation, Equinix, and the Redwood City Library Foundation, provides iPads and mobile hotspots for up to three weeks at a time for library card holders. Wi-Fi in the Parks (#SFWiFi) compliments the existing free public internet access along the entire Market Street corridor starting in the Castro neighborhood and ending at The Embarcadero, and builds on the City’s effort to increase Wi-Fi access that has been available since 2005 at 28 public libraries, the DeYoung Museum, Legion of Honor, Laguna Honda Hospital, and City Hall. The City has also completed an overhaul of the Wi-Fi network on Treasure Island, which was initially built in 2008.